Blast from Miracle Wimp’s Past! 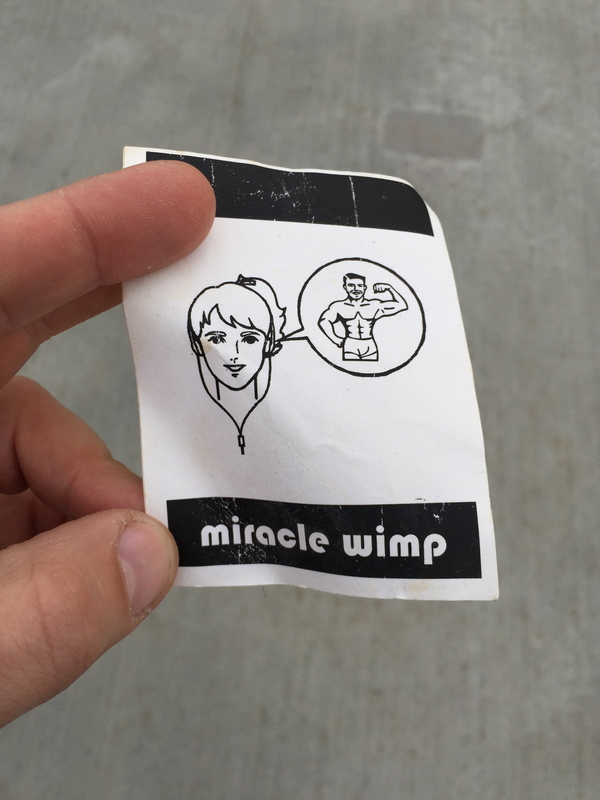 For some reason I found this sticker in a storage bin in our bathroom last night. One of many styles. I worked in a print shop. I made a lot of stickers. 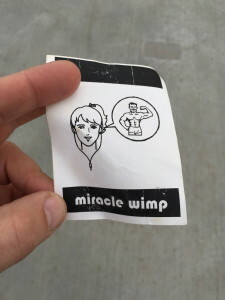 Before it was a book, Miracle Wimp was a band. I wrote about this on my Tumblr years ago, here, here, and here.